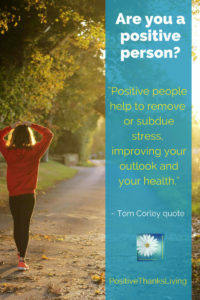 The above quote is from this post by Tom Corley. In his post, he’s talking about toxic people and then contrasts them with positive people. 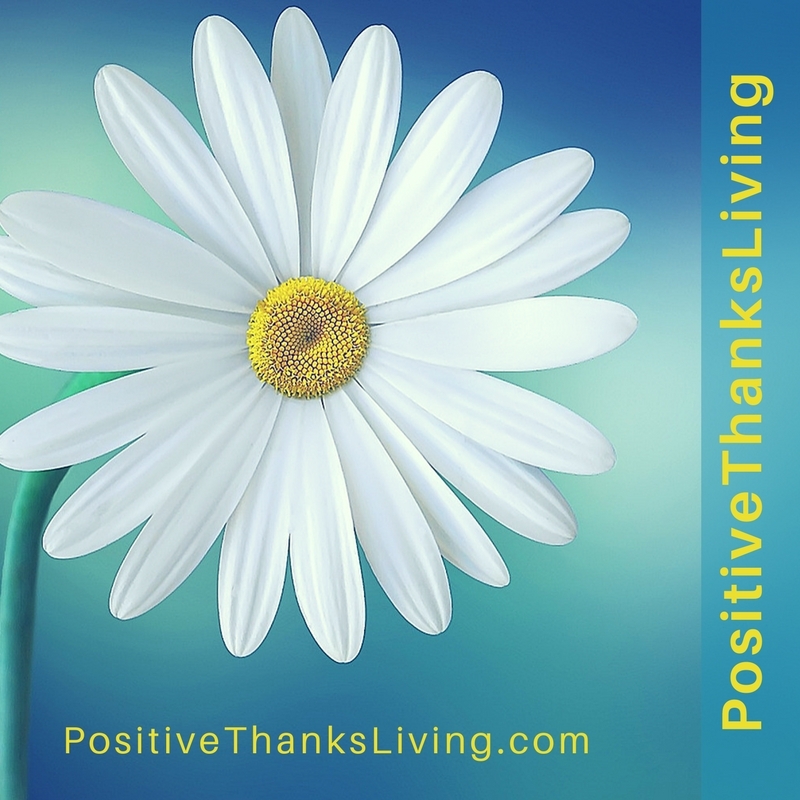 He suggests we surround ourselves with other positive people. Rather than overwhelm you with all eight right now, the rest will come to you one every day for the next eight days. Little bites to consider. 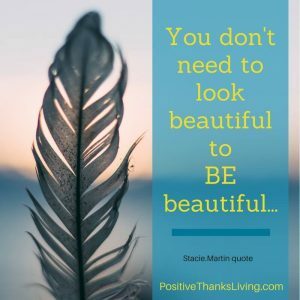 There’s every chance that none of us will be good at all eight – even if we are pursuing positivity. No worries. Optimists always know there’s room for improvement. 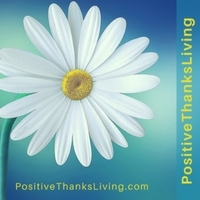 1 – Positive People acknowledge the truth and manage the overflow. There are some truly overwhelming events which cause ripples of anxiety, fear, pain and doubt in every life. Not every happening is good. A positive person can see and determine the truth in these events while (eventually) putting a plan in place to handle each ripple. These plans help other people’s outlook because everyone feels better when there’s a plan. A direction or plan adds a feeling of hope. Positive people find hope even in the worst circumstances. Is finding hope in a difficult circumstance one of your strengths? If you can acknowledge the truth, make plans to manage the overflow and find hope… you might be a positive person! 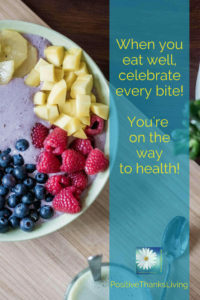 Celebrate every bite when you eat well – those items you know are good for your body. and more, according to your body type. 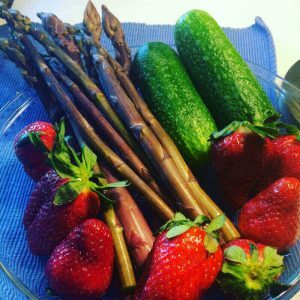 What about exploring foods to build a better body? How to easily identify the vitamins and nutrients in food, and their impact on the body? Guess what? There’s an app to play with… if you’re curious. It won the 2014 Innov8 For Health Business Expo, and it’s created by a husband and wife team who believe in living a healthy lifestyle over fad diets and calorie obsession. This app, called Wholesome, covers many areas. What drew me to it at first was its “eat the rainbow” option. Of course, if you want to use the entire functionality of the app, there’s a cost. Wholesome tracks 90 nutrients including: macronutrients, vitamins, minerals, phytonutrients, and omega 3’s and antioxidants. Using Wholesome you can easily identify gaps in your nutrition and get whole food suggestions to improve your diet. 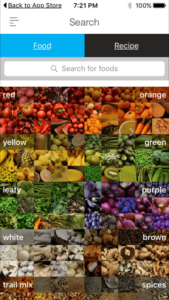 You can track foods or an entire recipe with just one-click. Save your own recipes in the app so that you can easily track them anytime. Wholesome syncs with Apple health. To eat more mindfully, I’m beginning to have a little fun exploring this app – so far, just the free version. I click on an ingredient and see what kind of nutrients/vitamins, etc is a part of each food. Learning is something to celebrate also! Do you have any app recommendations you use? When you eat well, celebrate every bite! You’re on the way to health! 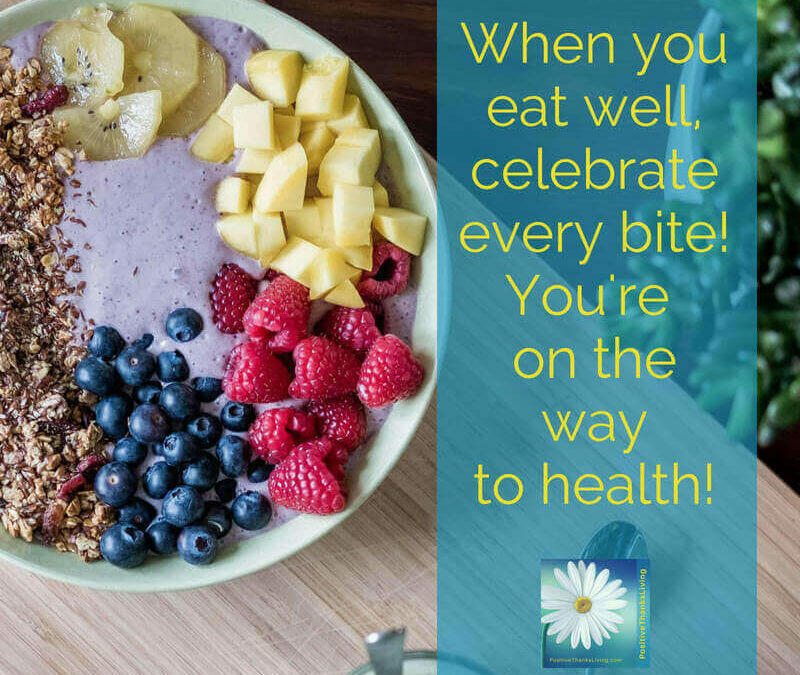 Which foods will you celebrate eating today? 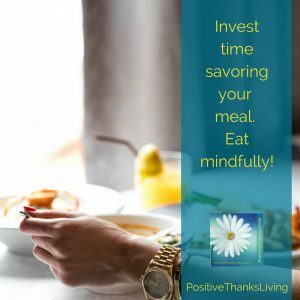 Mindful Eating – Savor your meal. Where and how do you eat your meals? 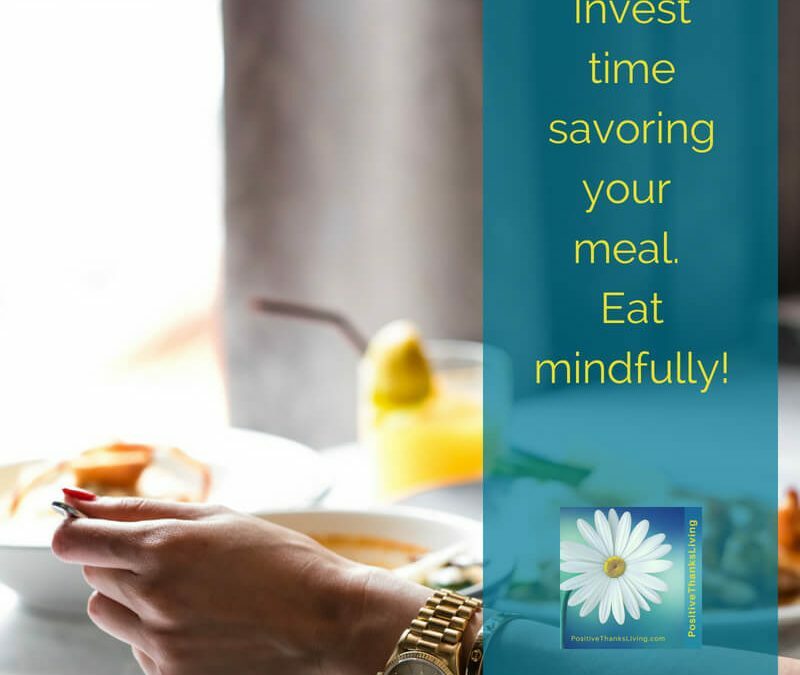 How are you doing with savoring your meals? 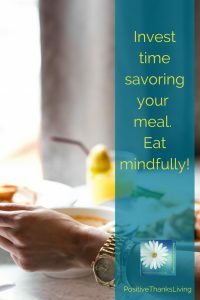 How would you begin mindful eating? 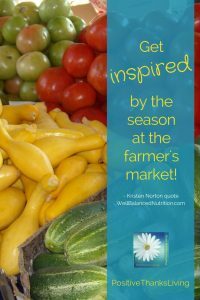 Take a little detour this week – check out a farmer’s market to be inspired to eat what is in season – there’s a good chance health will be on the menu too! 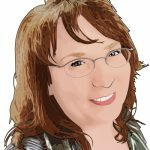 As I was looking through the blog at WellBalancedNutrition.com, I found this article about meal planning… with six ideas on creating your own meal planning process. 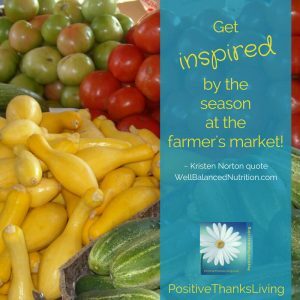 Included in the six ideas is visiting a farmer’s market. 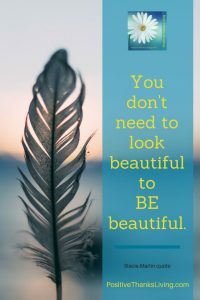 I’ve found this to be so true. A few weeks ago I picked up a new (to me) variety of asparagus at the farmer’s market. Purple asparagus! When I asked the farmer what was different about this variety of asparagus, she said it was high in antioxidants compared to regular green asparagus. Purple asparagus’ color comes from the high levels of anthocyanins in the spears. Anthocyanins are potent antioxidant flavonoids that have protective and preventative health benefits, including anti-inflammatory and anti-cancer properties. Rob and I found this variety of asparagus to be more tender and sweet, however, the purple color changed to regular green during the cooking process. 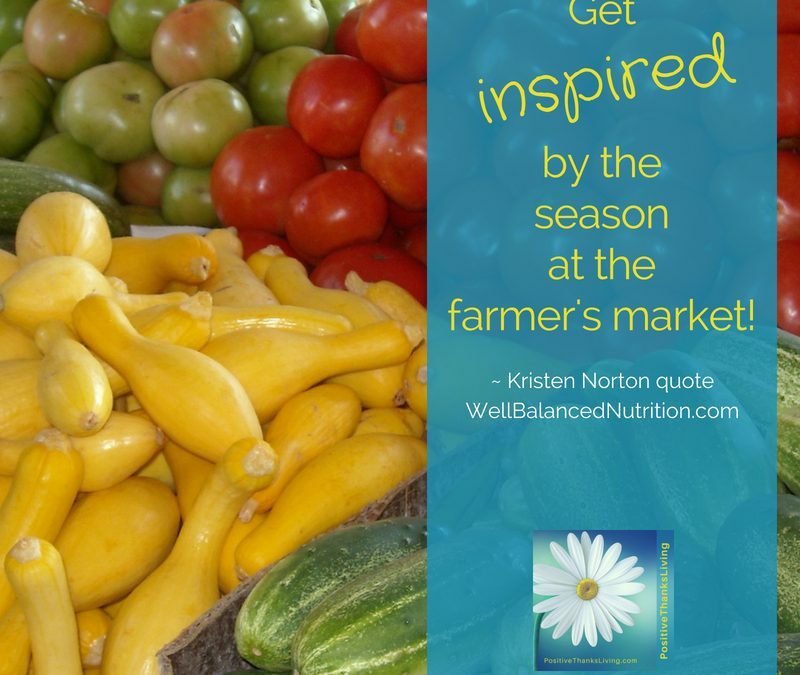 Need some inspiration for healthy meal planning – visit your farmer’s market this week, see what’s different and pick up something you haven’t tried before! 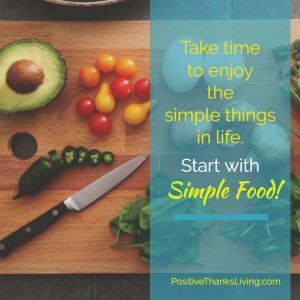 Good food is often simple food. Fresh. From the ground or plant or tree. 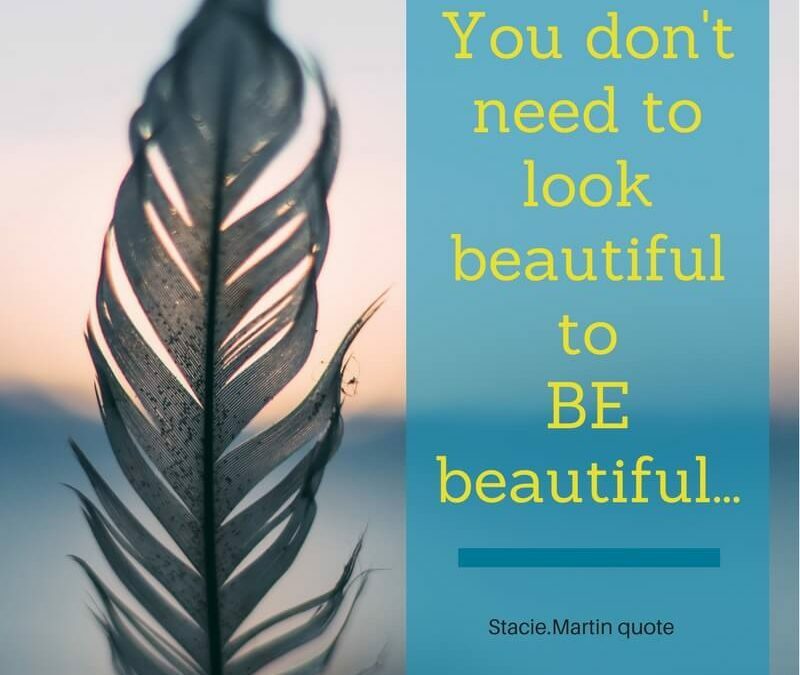 Nothing added. Colorful. 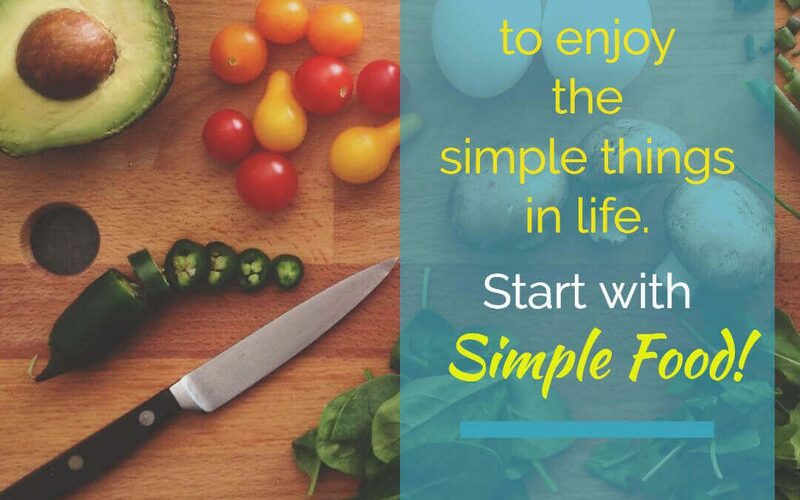 Take time to enjoy the simple things in life – start with simple food. 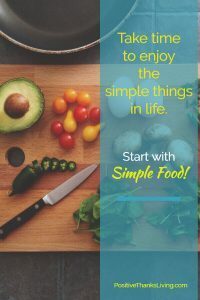 What’s your favorite “simple food”? Today is a good day to enjoy your favorite simple food… right? Share the joy – delight in your favorite simple food with someone else. 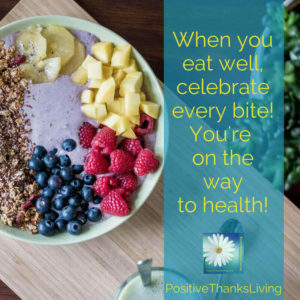 You’ll be doing more than sharing food – you’ll be sharing life and health!